This vast dictionary launches the new series, Historical Dictionaries of Women in the World, and fills a huge gap in the literature, as there previously has not been any comprehensive reference work on African women. 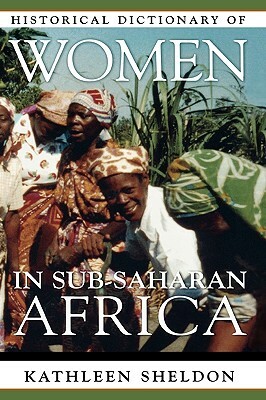 This dictionary includes over 660 entries on notable women in history, politics, religion, the arts, and other sectors; on events particularly associated with women; on women's organizations and publications; and on a range of topics that are important to women in general or that have a special importance for African women, including marriage, fertility, market women, goddesses, and much more. Entries include cross-referencing information that facilitates readers' ability to find related information. The book also includes an introductory essay and a chronology on African women's history, as well as an extensive bibliography divided into sub-sections on different historical eras and subjects. Access to finding specific information is further aided by a country index. A wide range of users will find this reference extremely valuable, including researchers in African or women's history, high school and university students, and people involved with African policy and development issues such as diplomats or aid workers. Kathleen Sheldon is an independent historian with a research affiliation at the University of California, Los Angeles, Center for the Study of Women. She has published books and articles on African history, with particular concentration on women's history and on Mozambique.